Can you talk a bit about your new book? 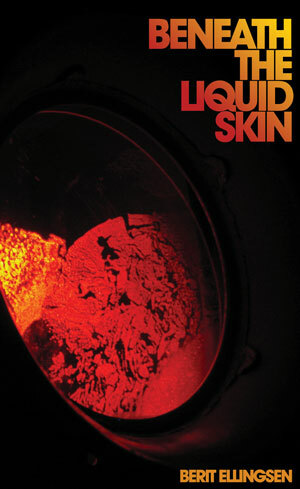 Beneath the Liquid Skin is a collection of short stories and was published by firthFORTH Books, an imprint of Queen's Ferry Press, in November 2012. The stories range from prose poems to short stories thousands of words long. Some of the stories are realistic, others are more imaginary. Almost all of the stories, except for two, I think, were published in various literary magazines before they were collected. My first book, The Empty City, a novel with existential themes, is also being translated and published in French in the summer of 2013. I love that you embrace the weird and are inspired by so many different outlets. Can you talk a little about your influences? One of the most recent influences is Italo Calvino’s Invisible Cities. I remembered the final passage from my teen years, but didn’t know which book it was from, so it was fantastic to find it again and finally read the entire book. The same with J.K. Huysman’s decadent and surreal novel Against Nature, and Jorge Luis Borges’s The Aleph, which felt like stories I should have read a long time ago, but didn’t know about. I’ve also recently read short stories by many contemporary writers, such as Kathy Fish, Paul Jessup, Kristine Ong Muslim, Tania Hershman, Jeff VanderMeer, Matthew Salesses, Ethel Rohan, Jennifer DuBois, Paul Griner, and others, as well as the French philosopher Jean Baudrillard, and they have been influential as well. I find the catalysts for stories in everything from phrases, ideas, questions, memories, dreams, indignation, science, philosophy, paintings, photography, film, music, games, design, to literary works. It can be everything from a great phrase, to an interesting character, to certain colors or a tone of light. For example, a recent shot from one of Russian director Andrei Tarkovsky’s movies, which are known for slow panning into or out of scenes, and a masterful cinematography of water, made me realize that his films have influenced my writing a lot. What was it like growing up Korean-Norwegian? Ambivalent. Norway was, when I grew up, and still is, a society with a single dominant culture. Or two, if you count the enormous influence of American popular culture. It is also a conformist society. Hence, being Korean-Norwegian meant always sticking out, for better or for worse. You can’t deny that much of the cultural inheritance the rest of the country feels ownership to, like for example the Vikings or Norse mythology, doesn't really apply to you. That’s not your heritage or your culture and you don’t feel as connected to it like others do. At the same time, Korea is not your culture or home either, it is even farther away than the culture that surrounds you. I suspect all diaspora face this issue to some degree, and there is no single solution to it. However, this is not the so-called Third Culture Kid-phenomenon, which mostly concerns the offspring of privileged expats, but a generation of children that were moved away from their families to new parents and a completely different culture, their original names and birth dates wiped for new names and numbers and identities it was assumed they would easily grow into, and were expected to feel an unquestioning gratitude towards the new country. There is no way that can be only problem free for the children and families involved. I remember a little while back that you guest-edited for Cha, the Asian Literary Magazine. Did you get a feel of what concerns Asians as writers by reading these submissions? I guess what I’m asking is, do you feel that Asian writers, despite being in different countries, hit upon the same themes? Asian Cha is a wonderful lit mag and it was great fun to guest edit for them. They publish stories by Asian writers or stories that have a strong connection to Asia. Since the publication is in English, we received submissions mostly from English speaking writers from Asia, Europe, the US and Canada, many diaspora, but also expats and tourists. That meant many travel stories and stories that had more to do with the West than with Asia. We did not receive many submissions from writers who were living in Asia, except for by Indian or Pakistani writers. It's probably more common for Indians or Pakistani to write in English than it is for Korean, Chinese or Japanese for example. Within that language selection, there were some common themes, of the diaspora or expat experience, of cultural differences and similarities, and about family, concerns about the family in the new environment and concerns about relatives in the "old" country. But I do wonder if the stories about emigration and immigration would not have been similar if we had read submissions from other continents or other eras of human migration. 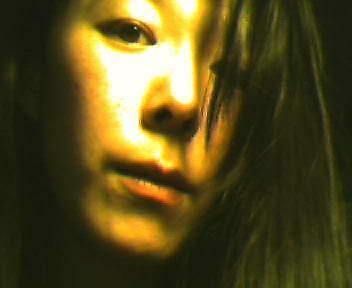 Thank you so much for adding me to your blog series about Asian American artists! I'm honored to be on that list and looking forward to reading the other interviews! Best of luck with all your blogging, writing and publishing endeavors! Thanks for the interesting interview, Berit.